This is not an example of what not to do with your camera. Another artist at the workshop was kind enough to snap us a "memory" of the day—he wasn't familiar with my camera, so that accounts for the fuzzies. 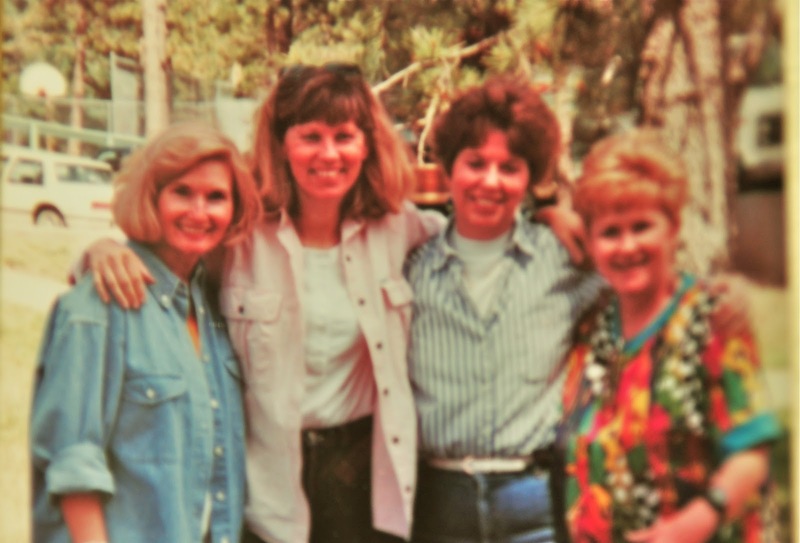 Left to right–me, Marsha McDonald, Margaret Kessler and Jan Bateman. We were smiling because the day before we all had eaten a ton of fresh, black cherries and some of us had tummy problems later. Margaret was teaching the workshop. It wasn't convenient for her to visit her motor home ever so often. But the cherries were so delicious and we laughed about it later.